We added two new listing syndication partners to RealBird, destinations where your real estate listings are now automatically sent to when you publish them through RealBird. We will update your seller hand-out flyers soon to include these new sites as well. 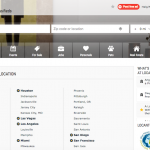 These additional destinations are available both for Canadian and USA listings published through RealBird. There are no additional steps required by you. Just publish your for-sale and for-rent properties on RealBird as usual, and we’ll take care of the rest. Tip: make sure you let your seller know that there are now even more places you distribute their listings to, using your RealBird marketing tools. Locanto.com (US site) and Locanto.ca (Canadian site) is a classified ad site for various categories including classes, community, events, pets, vehicle and real estate. Locanto has over 2 million real estate listings in the USA and Canada and now your properties are automatically shown on those sites. Without any additional effort required from you. 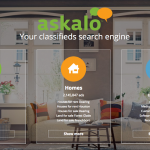 askalo is a classifieds search engine for the real estate, cars and jobs categories worldwide. It is operated by Yalwa, the same company behind Locanto. They also operate a USA and Canada facing search engine at Askalo.com and Askalo.ca respectively. And just like with Locanto, there are no additional tasks for you, just add and edit your listings on RealBird as usual and we’ll syndicate your listings automatically to them every day.